if you’re like any first generation ABC kid, holiday dinners are either hot pot time or a mash-up of both American and Asian cuisine. This year, Tricia decided that enough is enough. 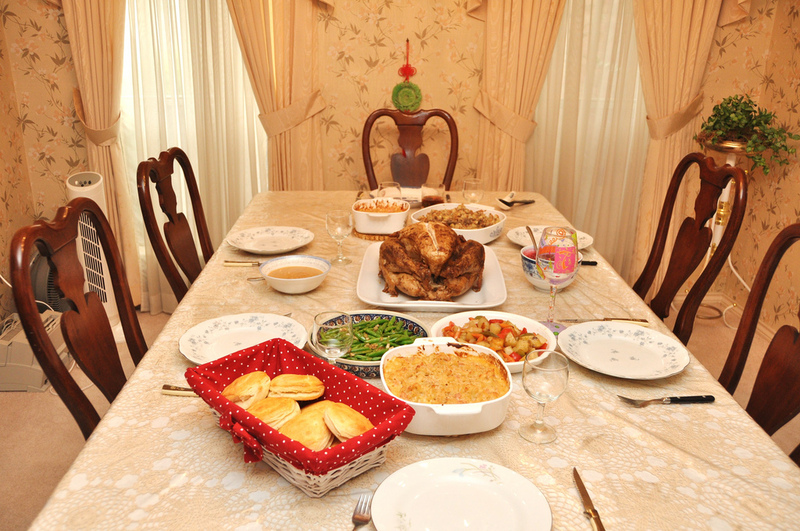 We were going to have an all-american thanksgiving with turkey and the works. No fried rice noodles (mi fun), no ham, no hot pot. 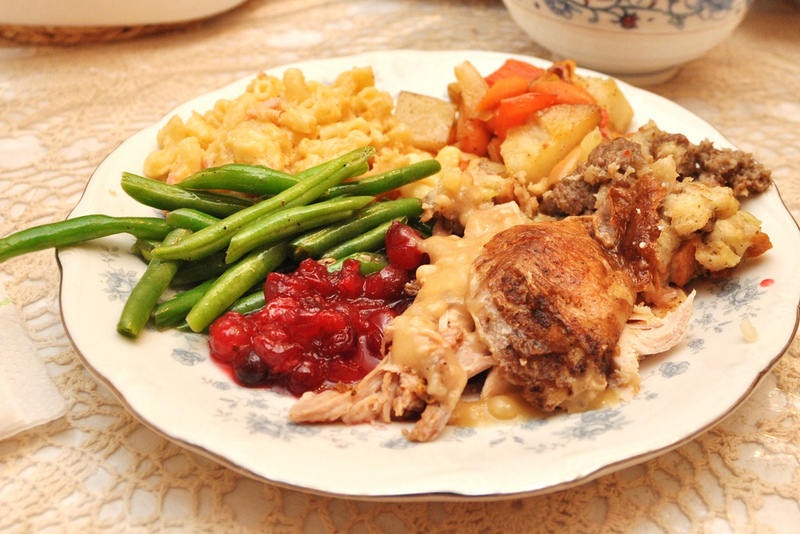 The full spread (below) included turkey, stuffing, mac & cheese, roasted vegetables, sauteed green beans, biscuit rolls, cranberry sauce, and gravy [made from drippings, of course]. We ordered the turkey from Popeyes (yes, Popeyes serves turkey). This saved us lots of time, especially since I didn’t get in from Dallas until Wednesday afternoon. 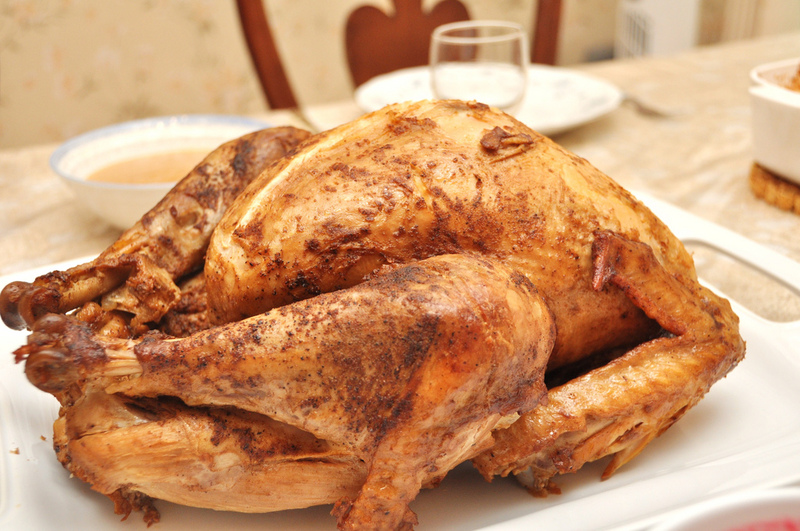 The turkey was supposed to be fried cajun, but in reality, it was really roasted cajun turkey. 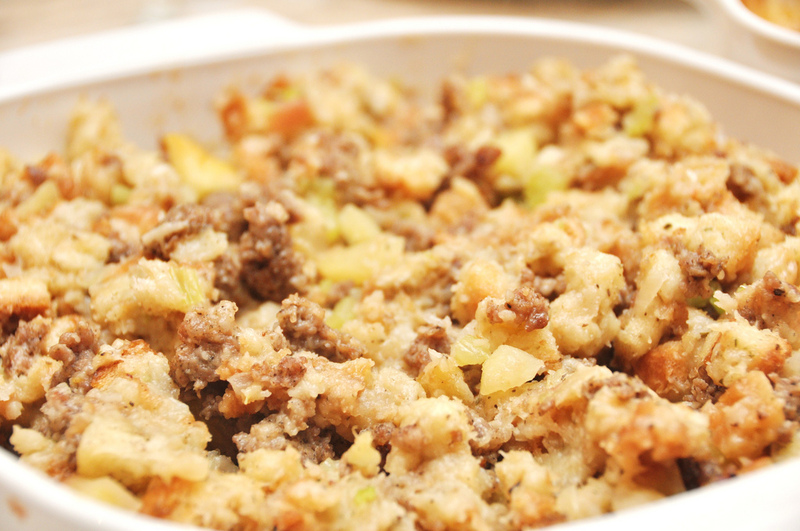 The stuffing was made with sage sausage, onions, celery, and APPLES. 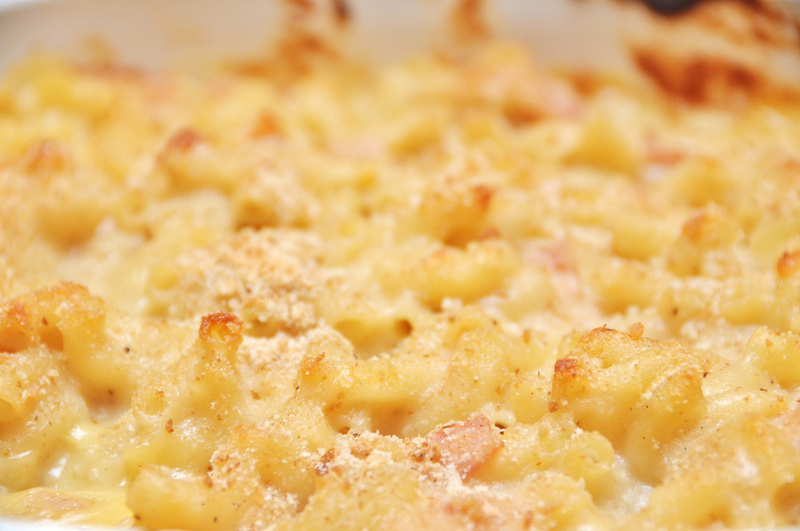 The mac&cheese was the same recipe that I used from my Luby’s night post, except I also added lots of chunks of ham. And put more nutmeg – yall know how much I like my nutmeg. Thanks to Tricia for the pictures and helping cook a wonderful meal. I think we did an awesome job, if I might say. I want to eat this plate now.